There is plenty of false information surrounding working out and muscle building. People end up making mistakes and actively lessening the impact of their exercise (there’s also a chance you might get hurt doing workout routines incorrectly!). However, fixing these mistakes don’t take almost any effort and simply requires specific changes to the way you build your muscles. These are the 5 things you need to stop doing to improve muscle building efficiency and prevent potential injury. We know it might seem unnecessary at times and that basic exercises don’t do much, but the truth is quite the opposite. In fact, the basics are crucial in preparing for harder, and more muscle group-oriented workouts. Basic exercises don’t take too much of your time or are demanding; they are simple workouts which are meant to aid flexibility and give you a nice head start. Also, don’t overcomplicate things; the basic exercises can be as simple as doing push-ups, pull-ups, and crunches. Do this, and everything else will feel just a tad bit easier! It is entirely understandable for people to experience food cravings after an intense muscle building workout session. After all, you’ve been burning through the energy deposits, and that makes you hungry as well. However, quenching this hunger isn’t really advisable, especially since you’re looking to build muscle mass. Here’s the deal. Once you’re done with a workout and grab a bite to eat - your body will either use up a small amount of energy you provide (through a light meal) or too much. Because, after you’re done with the physical exercise, that new calorie amount has nowhere to go but to stick. 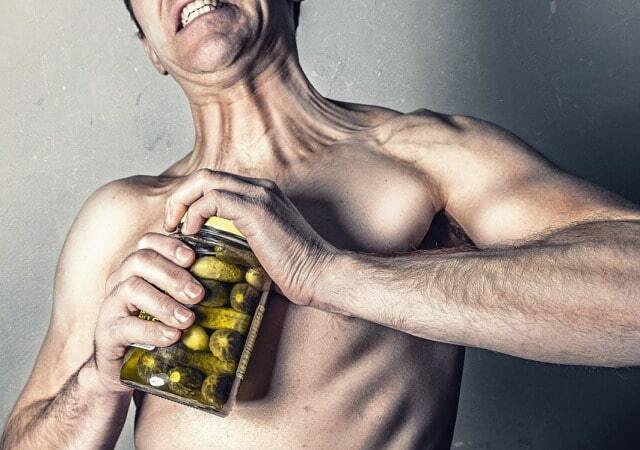 Control your foodie mood - control the speed at which you build muscle mass! Drinking alcohol isn’t too bad if it’s in moderation. And by moderation, we mean it. However, it severely impairs your ability to exercise correctly. Not only can it cause further dehydration, but it also causes some unwanted reactions within your body. Avoid alcohol altogether when you’re dedicated to muscle building. The same goes for cigarettes. Compared to alcohol, cigarettes have a worse long-term effect on the body and bring absolutely nothing positive to the table (unlike for example beer which contains many vitamins including Vitamin B). Keep away from these things, and your muscle building campaign will be as healthy as possible! You can also visit sober living in Denver or other sober living homes near you. Cardio is the core of every single workout session you will ever do. Without it, your stamina levels wouldn’t increase, you’d risk injuring yourself more, and overall, the effectiveness of certain exercises would be drastically lessened. This doesn’t mean you should go all out and do 2-hour cardio sessions. Intensity is essential, but spreading out cardio over every day is massively positive. For starters, constant cardio exercising each day means you maintain the same level of energy and preparedness, but also that you can push your boundaries even further. This, in turn, allows you to do more intense muscle build-up training and strength building. So, what do we learn from this section? And finally, we come to something most people disregard or just don’t appreciate for what it is. Our body needs enough sleep. Our bodies are programmed in a certain way; some people are more energetic at night, others work better through the day. There’s also something called the inner clock, as well as chronotypes. What all of this means is that not giving yourself enough time to rest, sleep, and rejuvenate the body can be pretty damaging. Let’s say you go to the gym and demolish it; talking 3- hours of an intense workout. Then you come home, relax, watch the TV but not go to sleep until 2 AM. You wake up at 6 AM to hit the gym again, but you’re too tired and because of that, not able to work at 100%. Every cell in our body needs to be fixed and/or replaced, and it happens when we sleep (well, it happens all the time, but it happens the most during sleep). Getting proper sleep means you’ll wake up energized, have more energy throughout the day, and your mood will be positive. There are no drawbacks to proper sleep! I hope you enjoyed this blog post about the major bad habits you need to quit to ensure that you are building more muscle mass. Interested in more articles about how to build more muscle mass?